MELSA (Model Engineering and Live Steamers Association) will be holding their next public running day. 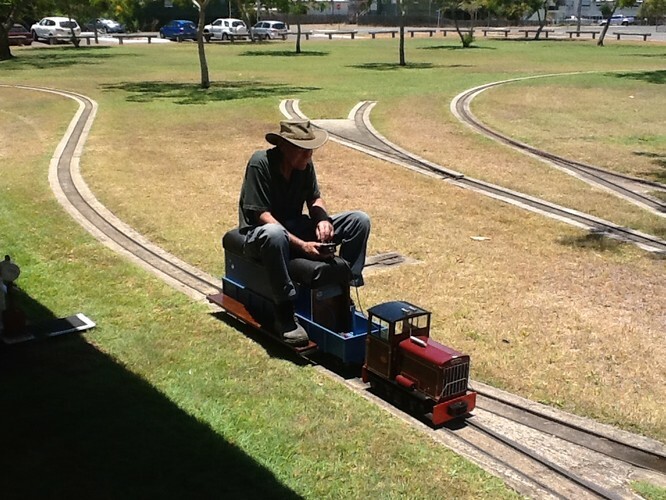 Ride behind a steam engine or a modern diesel locomotive. 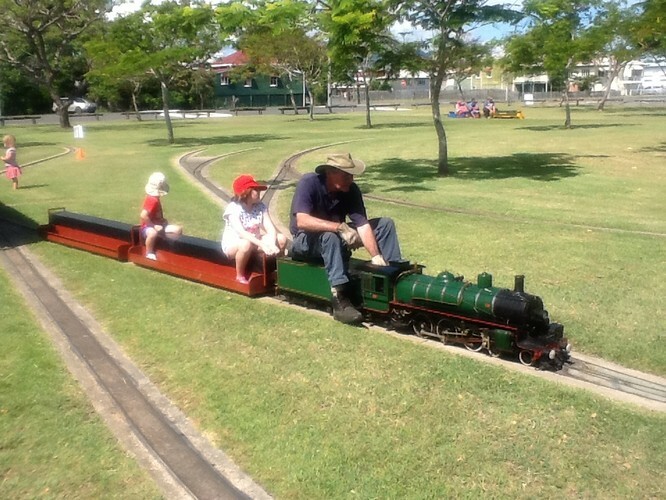 Family fun for all ages. 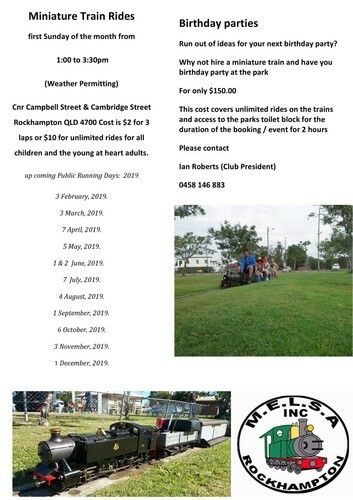 Come and ride with us at Leichhardt Park, corner of Cambridge and Kent streets Rockhampton. Important: enclosed footwear must be worn to ride the trains.